John Robert Wheat was born in Seattle, Washington on February 23, 1919 and went by the nickname Jack Wheat. 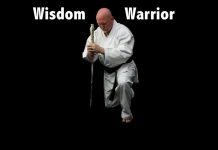 Professor Jack Wheat trained and instructed at Master Henry S. Okazaki’s dojo for 16 years, from 1942 until it closed in 1958 and became head instructor there. He was awarded black belt and the coveted Jujitsu Scroll by Master Okazaki in 1945. Jack attended special classes at Master Okazaki’s home where he taught black belts the higher arts of Se Kapo and Shinyo No Maki. Prof Wheat founded the Menehune Jujitsu Club. After joining together with Professor Joseph Holck in 1955, he continued teaching at the dojo on Heamoku Street, Honolulu until he was assigned duty overseas in 1959. During this period he had advanced to 7th Dan. Upon return from overseas duty, he again reopened Menehune Dojo in Waipahu, and held classes until 1972, when he was again assigned overseas duty in Vietnam. 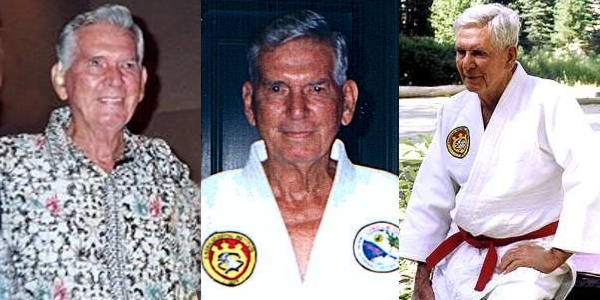 Professor Jack Wheat became a member of the Hawaii Shobokan Judo Club in 1950, and in 1953 became the first Caucasian in Hawaii, along with Sensei Tony Gonzales, to be awarded judo black belt, Nidan, from the Kodokan in Japan. He subsequently earned Sandan, third degree. He graduated from Master Okazaki’s Nikko Restoration Sanatorium Seifukujitsu in 1945, after training under Master Okazaki for 3 years, and continued massage training until 1950. While overseas in Bangkok, Thailand, he studied acupuncture, and was awarded a certificate to practice acupuncture in Thailand and Hawaii, and was appointed by the Governor of Hawaii in 1975 to serve on the first Hawaii Board of Acupuncture. 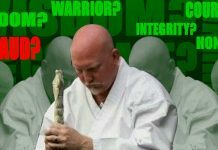 Professor Jack Wheat is ranked as a Judan, 10th Degree Black Belt. Prof. Wheat continues to instruct jujitsu and massage therapy. 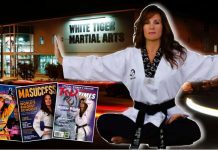 He was inducted into the Jujitsu Hall of Fame by: Jujitsu America, Danzan Ryu Jujitsu, Hawaii Kempo Jujitsu Society, and the AJI Hall of Fame. Professor Jack Wheat, born John Robert Wheat, passed away on October 20, 2004 in Honolulu, Hawaii.